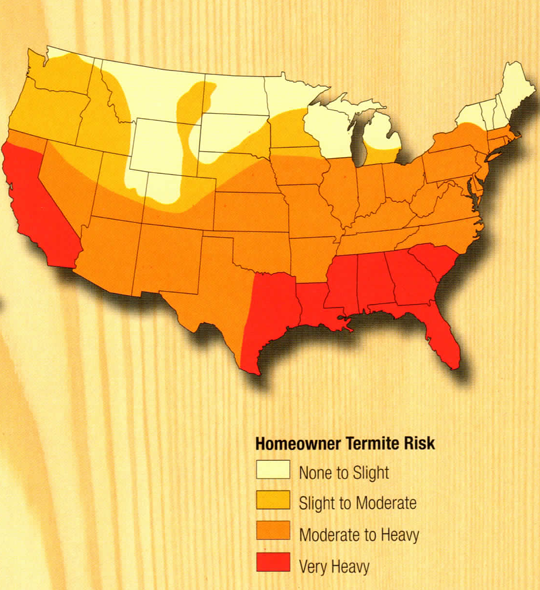 Termites are commonly found in many parts of the United States. They're a far more serious problem than many of the other pests that can infest a residence or business due to the serious property damage they can cause. Billions of dollars have been spent to replace wood damaged by termites in residential and commercial structures. 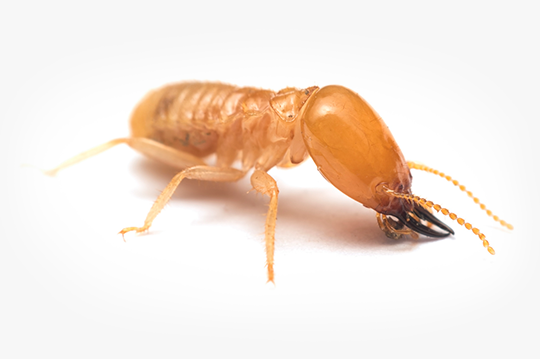 When you hire a termite control service, you need to be sure that you're hiring true professionals that can solve the problem the right way, the very first time around. We have over 30 years of experience in the pest control industry and termite control. Our team has the knowledge needed to tackle severe termite infestations and ensure that they're completely gone from your property, in addition to keeping them from infesting it again in the future. If a termite problem isn't quickly addressed, it will likely result in serious damage to your property that will in turn require extensive repair work. A termite treatment isn't something that should be attempted by amateurs. We used registered termite control professionals to perform all the work associated with your termite treatment. Our technicians have the skill and knowledge necessary to use the equipment and termiticide products in a safe and effective way. This guarantees that it will work well to eliminate all the termites on your property, and protect the structure of your home or commercial property. The inspection is the first step of the entire termite treatment and also the most important one. Our inspector will examine your property to make a graph that will allow the treatment team to apply the termiticide in a safe and effective manner. If the inspector spots any damage, you will get an overview of its extent. Every property is unique, therefore the inspection is necessary for a treatment quote. The next stage is the actual treatment. A team of 2 to 4 technicians will use a pump to inject Termidor 80wg around the foundation of your property. This includes drilling through the slab foundation. We use Termidor 80wg, which is the most effective termiticide on today's market. This product is able to keep you protected for at least 10 years. As part of our service guarantee, we will return each year to perform an inspection of your property. This lets us spot and address any possible recurrence of the problem immediately. If you're dealing with a termite problem, don't risk serious property damage by waiting. Contact Bug-Off Exterminators, Inc. today and we'll make sure your termite problems are a thing of the past. There are at least one king and one queen in every termite colony. The queen, which can live for at least 30 years, has the sole purpose of reproduction. Queens can lay thousands of eggs every year, spawning what are known as nymphs. It is while they are in the nymph state that termites develop into worker, soldier, reproductive or supplementary reproductive castes. Blind and wingless, workers comprise the largest caste of termites. Often found in infested wood, workers build, repair, forage for food and care for other termites. Blind, wingless and sterile, soldiers have the sole purpose of defending the colony. Winged reproductives will eventually leave the colony and become swarmers, after which they will lose their wings and pair up. Each pair of male and female termites will have the function of starting a new colony. These termites have the role of increasing the size of established colonies and can even serve as replacements for the original king and queen.